The species paniculata is an upright growing phlox perfect for bringing color and height to mixed perennial plantings. 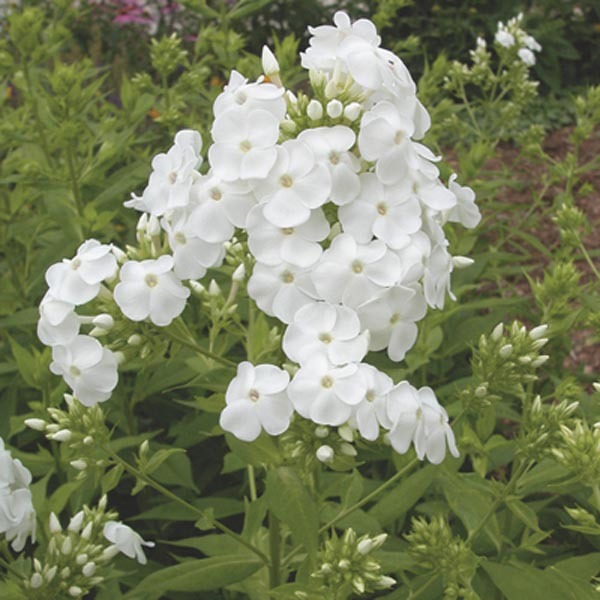 Large, fragrant bloom clusters flower from summer into autumn and the narrow foliage and vertical habit mix attractively with plants of broad leaf and mounding growth habit. Remove spent bloom clusters to encourage continued flowering. Available varieties offer a diversity of colors. Effective in borders and cutting gardens. Ideal for specimen, foundations, and mass plantings. Cut flowers are long-lasting in fresh bouquets.